It has literally been about four years since I’ve tried and shared anything from Crown Brush, but I’m slowly starting to explore their new releases again. If you’re unfamiliar, Crown Brush is a pro makeup and brush brand that is well known for manufacturing products for other very popular brands (aka private labelling). 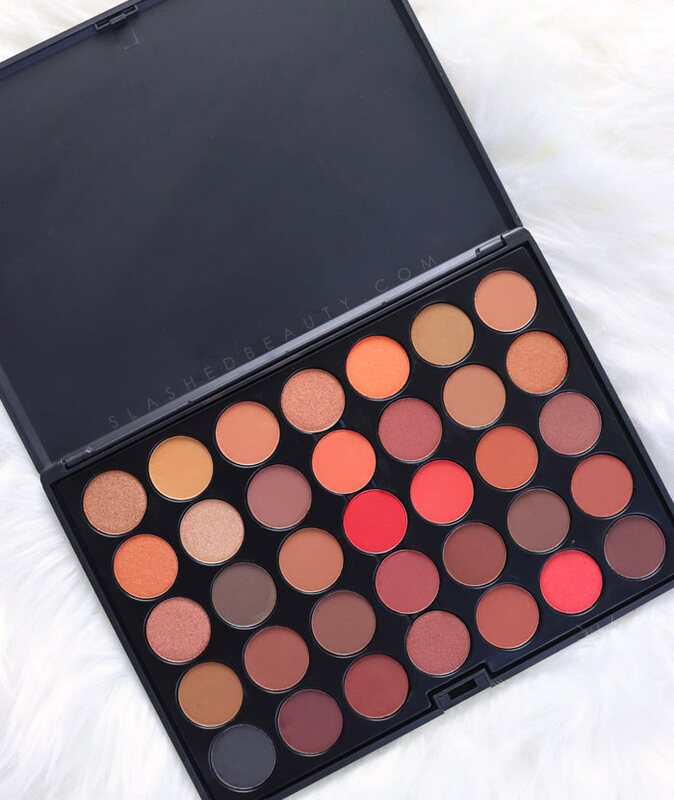 Recently, they’ve been rumored to having helped get Morphe off the ground, creating most of the brushes and palettes in the early years. Aside from making products for other brands, Crown sells directly to consumers on their website at super affordable prices. Even though they’re not super mainstream, they’re definitely worth checking out because you can find brushes and makeup formulas that are identical to other brands for a fraction of the price. 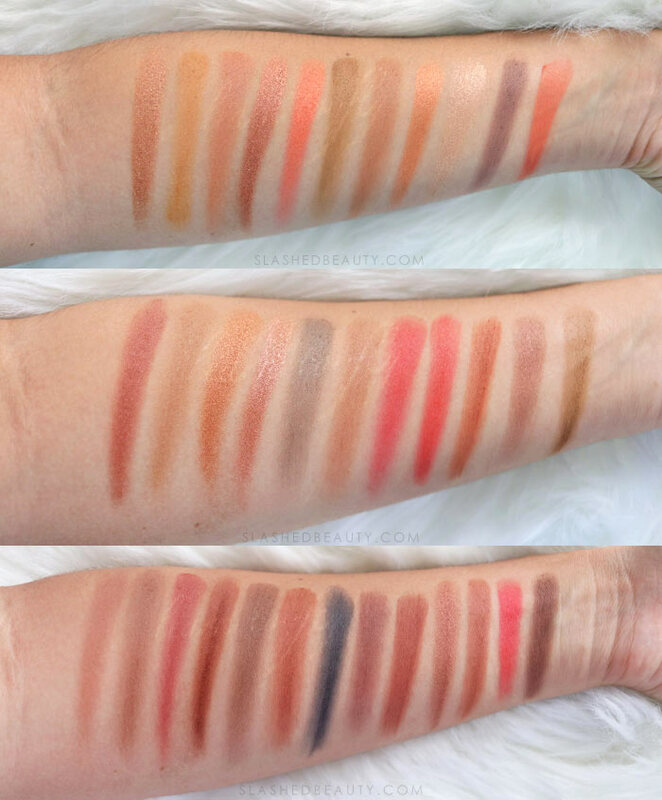 I recently reconnected with the brand and soon after, the 35 Color Scandalous Eyeshadow Collection— the 35SN palette— landed in my hands. I took one look at this palette and knew it was going to be a fall makeup go-to. 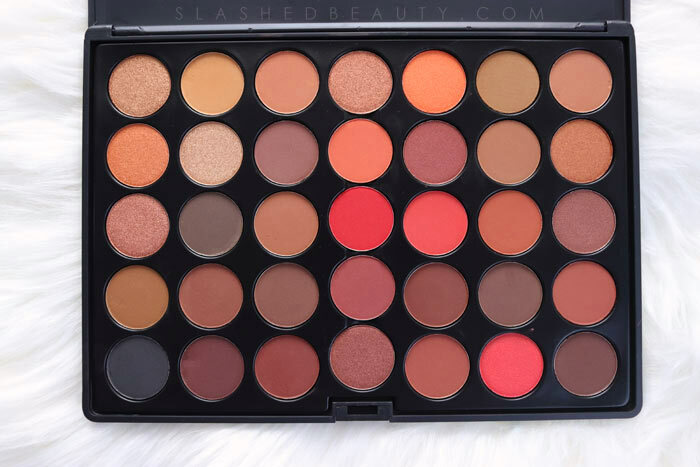 We get thirty five shades that are predominately matte with a handful of satin accents (ya’ll know I love me some mattes) that, for the most part, lean warm-toned. There are a few cool neutrals to help balance the palette, but what really struck me were the vibrant reds and oranges that give this palette the potential for some real statement looks. The formula of the shadows across are smooth across the board. The matte shades can be a bit powdery, but still blend out very easily and with strong pigmentation. The satin shades are completely opaque in one swipe with a smooth finish. While I love the matte/satin ratio, I do think that the balance between shade tones could have been a bit more equal. There are only about two clear highlight shades here, the rest are definitely more mid-toned and a few deep shades for the crease. Definitely not something to be too hung up on, just an observation. All of these shadows swatch smoothly. Some of the lighter mattes are a bit sheerer, but build up easily and blend well. In the above swatches, I’ve just gone continuously left to right throughout the palette for the sake of saving space. Here’s a recent look I created using this palette- I’m loving how it turned out and can’t wait to create more this season. The best news is, the Crown Brush 35 Color Scandalous palette is less than $15 when you use my affiliate code, SLASHEDBEAUTY to get 20% off! Punch it in at checkout to score your savings. 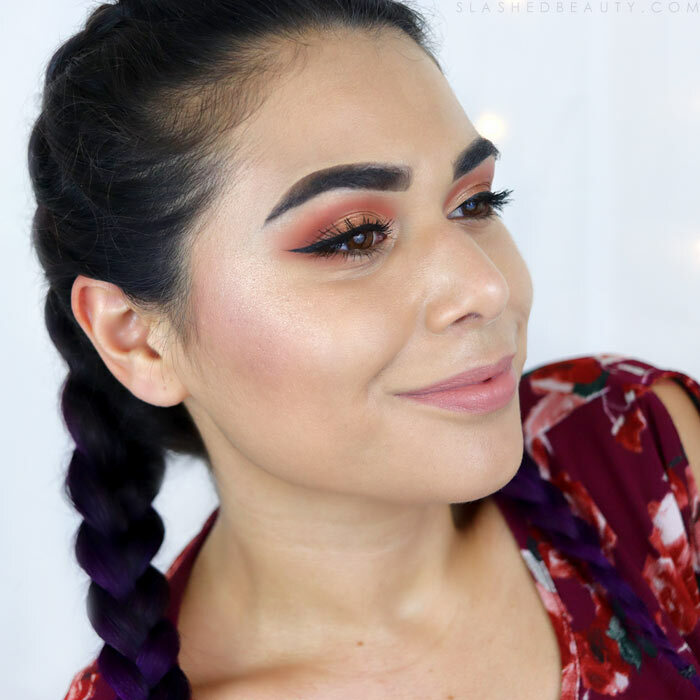 Not only is this a super budget-friendly way to get on board with the warm eyeshadow trend this fall, but in general build up your makeup collection without breaking the bank! If you want to see more from Crown Brush, leave a comment! I think they definitely deserve more attention aside on their own, aside from what they make for other brands. Let me know if you want to hear more about the brushes from Crown, too— I just got a few of their new ones. What shades are you gravitating to this fall?